Today we’ve got our second teen review! This one is by Amanda, and she’s reviewing Trouble from the Start by Rachel Hawthorne. 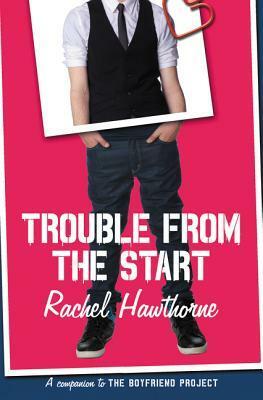 Trouble from the Start is about a girl named Avery whose dad is a cop. Avery is about to graduate from school, and she is desperate to get her first kiss and first boyfriend, but she never talks to a guy for long. She finds out she has to live with Fletcher, a bad boy with a reputation for getting into trouble. Now Fletcher has to do chores and get a job. He thinks he’s tough and Avery has to deal with him for the summer before she leaves for college. But throughout the course of the summer, she’ll find out there’s more to Fletcher than what meets the eye. This is a great book. I really enjoyed it. I liked how the author used dual point of views because it allows each of the characters to tell their own side of the story. My favorite character is Avery because she tries to be independent, and she’s really smart. She even helps tutor kids in school. However, I didn’t like all the bad words and drinking in the book. On the other hand, Fletcher drinks root beer instead of beer, and that’s definitely my favorite part. I would recommend this book to girls who are in the same stage of life as Avery: first boyfriends, first kisses, or anyone who likes a good romance. Want to check out Trouble from the Start? Find it here on the CMRLS catalog and place a hold on it! This book is about a girl that ran into her destiny. She didn’t know that on top of that she would also find her soul mate in the midst of trouble, challenges, and unlikely circumstances. 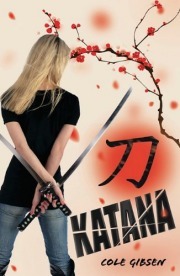 Katana is so addictive, thrilling, adventurous, and mysterious. It is so much more than I thought it would be. It is so good that even the first chapter of the book will have you hooked and ready to read more! Short, sweet, and to the point! Unfortunately, we do not have this book in our system, but if it sounds like something you’d be interested in, please do let us know and we can order it for you! It’s Music Monday! What does that mean? The Central Mississippi Regional Library System has a ridiculous amount of FREE to you resources available for patrons. One of those is Freegal, a free and legal service that allows patrons to download three songs each week for FREE (notice the emphasis on free). Every Monday we’ll be picking three songs that we love that are available on Freegal for you to download. Anna was lovely enough to mention Florence Welch in last week’s Music Monday post, and I realized that my obsession with Florence + The Machine could not be bottled up any longer. It had been a while since I’d loved an album in its entirety like I loved their first album, Lungs, so I was nervous when Ceremonials came out. Sophomore slump is a real thing, y’all—but apparently not for Florence, because Ceremonials took what I loved about Lungs and flew with it. Lungs is beautifully haunting, and while many tracks on Ceremonials certainly have that vibe (Seven Devils and Leave My Body being the two most prominent examples), the rest is like coming up for air from the bottom of the ocean. I have yet to hear the entirety of their newest album, How Big, How Blue, How Beautiful, but I’m so excited (especially if What Kind of Man and Ship to Wreck are any indication of its quality)! They just keep growing and evolving for the better, and I love it. 1. Howl – This one starts relatively quietly but builds into something epic. It’s dark and it’s creepy and intimate and basically, if there was a movie about The Wolf Man that wasn’t terrible, this song would be its theme. 2. Between Two Lungs – This one is weird, but, like, in a really good way? Unconventional music style plus strange pauses keep you on your toes, but it’s beautiful, and if you’re not smiling at the end then I’ve got nothing for you. 3. All This and Heaven Too – This may be the single most adorable song in the world about why love is both bizarre and awesomely indescribable. Other favorites include: Strangeness and Charm, Blinding, and No Light, No Light. And, you know, all the rest. If any of these catch your eye, head on over Freegal and download them, or check out some of Florence + The Machine’s other music! All you need is your library card and pin number, and you’re good to go! Celaena Sardothien is a teenaged prisoner slaving away in a salt mine. Before that, she was the greatest assassin in all of Erilea. When the crown prince sends for her, it is to give her a chance to prove that she’s still the best. If she manages to defeat the other contenders for the title, she will be granted her freedom after four years of service to the king—the king who allegedly banished magic from the land, and whose thirst for conquest threatens to tear Erilea apart. And while Celaena trains for the trials to be the King’s Champion, another evil is rising, and Celaena may be the only one who can stop it. 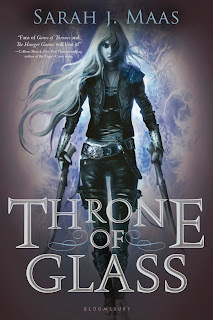 This is another one that I wasn’t sure I was going to love, simply because while I love fantasy, it’s a genre that has a remarkable ability to go off the rails really fast, especially when faeries get involved. That said, I REALLY LIKED THIS BOOK A LOT, YOU GUYS. Celaena is not what you’d expect the heroine of a novel like this to be. She’s tough, yeah, but she loves dresses and baths and emotionally terrorizing people in positions of authority. She’s been through so much while still being so young, but she hasn’t let it destroy her. She’s not a stereotypical Tragedy-Hath-Turned-Me-Into-A-Heartless-Ice-Queen, and I really enjoyed her a lot. The other characters are stellar, too. I love the Captain of the Guard, Chaol, so much. There is clearly a love triangle kind of set up between Celaena, Chaol, and the crown prince, Dorian. However, it’s done surprisingly well and I can see what she likes a lot about both of them (that said, Chaol all the way. Dorian is fine, I guess, but come on). I think my favorite secondary character was the princess Nehemia. She’s subtle and fierce and theirs is a female friendship done right. I would read a million books of the two of them trolling the king’s guard together. I would talk about Elena, but I don’t want to spoil anything, so I’ll just say that any time Elena appears my face is basically a giant, gleeful emoticon. Definitely grade A, and considering that I’m getting the next book in the series put on hold as I type this, you should definitely give it a try. 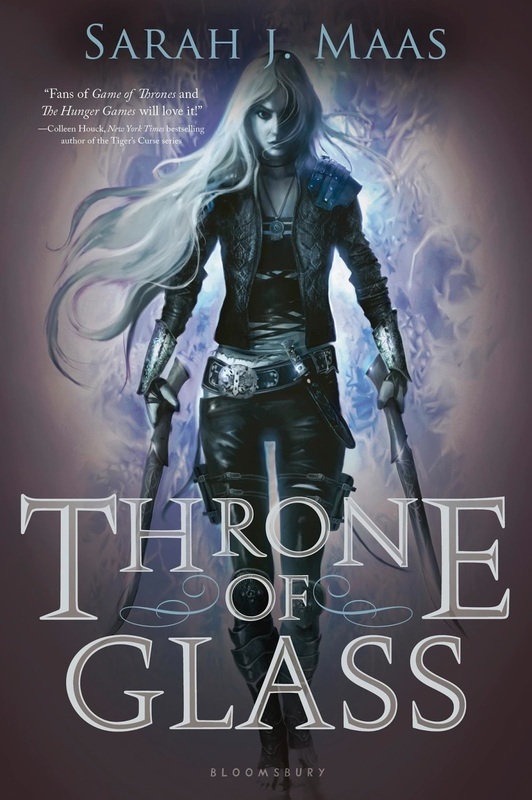 Want to grab Throne of Glass for yourself? You can find it in the CMRLS catalog! It's Throwback Thursday! Every other Thursday (possibly every Thursday if we can), we'll showcase a book from our past that we loved and still do. Got a book from your past you want to talk about? Email us at teen@cmrls.lib.ms.us and tell us about it! 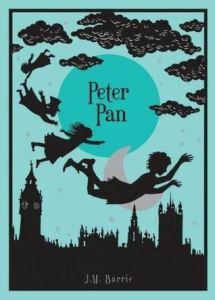 No matter how many times I'm asked what my favorite childhood book was, the first book that always comes to mind is Peter Pan by JM Barrie. I love this book and the play and the movie(s) and everything that has to do with it (I even watch Jake and the Neverland Pirates when I babysit). I have a Peter Pan tattoo. I own at least six different editions of the book. The story reminds me to not take everything seriously, that it's okay to be silly and have fun. I'm reminded to go into new things and new places with childlike wonder. Sometimes it's okay to not act like a grown up. The next book that comes to mind is The Harry Potter series by JK Rowling. Duh. I grew up with Harry Potter. I was about 10 when the first book came out. I was 17 when the last one came out. I went through my angsty teenage years when Harry WAS YELLING IN ALL CAPS. I love this series. So much. I also have a HP tattoo. 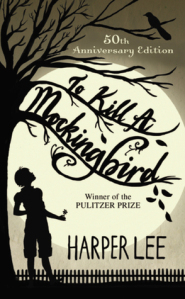 The last book I want to mention is To Kill a Mockingbird by Harper Lee, which is a beautiful novel of acceptance and love. It was one of those “required” books in school that I am so happy to have had the opportunity to read. I’ve read this one several times since I was supposedly forced to read it and I love it just as much every time. PLUS, Go Set a Watchmen comes out next month! Want to check out any of these books? Search for them in the CMRLS catalog and find them in a library near you! 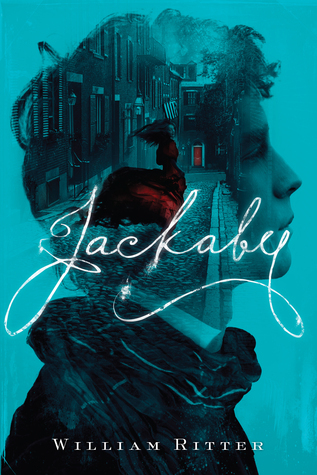 Jackaby is described in its summary as “Doctor Who meets Sherlock”. I think this is a pretty apt description – Jackaby is similar to both the Conan Doyle Sherlock and the Benedict Cumberbatch Sherlock with a little bit of Matt Smith thrown in for good measure. Usually I hate when books are compared to other books, TV shows, or movies, but in this case, it wasn’t off the mark. Thankfully, Ritter’s characters are so unique and solidly-done that I was able to completely separate them while reading (er..listening to) the story. The world that Ritter has created is full of seriously cool fantastical creatures and I absolutely loved learning about everyone and everything in it. My only complaint is probably going to surprise most of you. There is practically no romance in the book, which is actually quite nice to have, but the lengths Ritter went through to emphasize the lack of romance between Abigail and Jackaby is a little ridiculous. Instead of allowing the two leads who would actually make a really great couple because of how well they balance each other, we end up having two secondary characters written in for Abigail and Jackaby and it really just muddles the story. In fact, the romance between Abigail and her police officer often feels forced. Here’s hoping the romance that actually should be happens in Beastly Bones (the sequel to Jackaby). Nicola Barber is a fantastic narrator. She has an amazing ability to do different voices distinctly and with incredible believability. I was able to become fully immersed in the story because each of the characters’ voices were all so unique and easily identified. I’m so glad she narrated this story because it made for a wonderful listening experience. I would highly recommend checking out some of the other books she’s narrated (I also listened to Wild Born by Brandon Mull narrated by her). The bottom line: Jackaby is a fun, enjoyable novel. Ritter mixes an amazing fantasy world with historical details that make reading Jackaby like being in the world of Sherlock Holmes if it were on a different planet. Nicola Barber’s narration is absolute perfection, and if you are a fan of audiobooks, I’d highly recommend checking this one out in that format. Want to check out Jackaby? Find it here (in audiobook and physical format) on the CMRLS catalog! 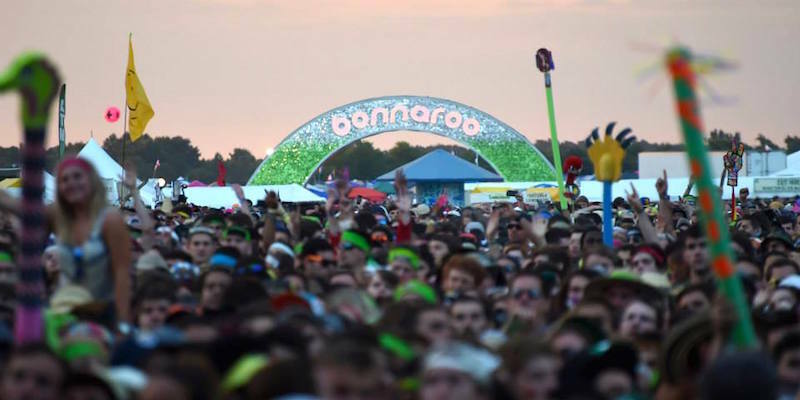 In honor of all of the people that just got home from the land of Bonnaroo, I decided I would mention three different songs from artists that were featured on this year's lineup at the farm. I myself did not have the chance to attend this year, so I am slightly jealous of the people that did go. I do hope you all had an amazing time, but of course you did because let's get real... It's Bonnaroo, the most magical place on earth. If you're into catchy empowering pop anthems, this song is for you. This is the main single from Florence Welch's newest album Ceremonials. Personal tip: sing this song at the top of your lungs. This is for all of the progressive metal lovers out there. Selkies has always been one of BTBAM's most notable songs, and I have always thought it deserves that recognition. It's a long thinking man's song with a well-blended composition of heavy and melodic. If you ever experience people raining on your parade, this song for you. I didn't get into Childish Gambino until fairly recently, and because the internet is definitely my favorite album so far. Sweatpants is just one of the songs, and Freegal has the entire album! 4. BONUS! Bright Lights by Gary Clark, Jr.
For any fans of bluesy rock, this is a great song for you. This guy reminds me a lot of The Black Keys, so if you like them you'll most like dig this song, too. If any of these songs sound like something you might be interested in, head over to Freegal and download them, or you can simply browse for other songs! All you have to do is log in with your library card number and pin (if you don’t know this, check with your local librarian!) and search for the aforementioned artists. Enjoy! Ana Watson is well-behaved, a brilliant archer, a quiz bowl champ, and all-around perfect. She has to be, or her parents will make her regret it. Zak Duquette? Not so much. A huge geek and spectacular slacker, Zak messes around so much he gets stuck on a quiz bowl trip with Ana and her brother Clayton to keep from failing his class. Zak raves about the sci-fi convention he’s missing, Washingcon, to anyone who will listen. Clayton decides that the best way to spend the night before quiz bowl semifinals is to ditch Ana and go to Washingcon himself. Now Ana and Zak have to team up to find him before everyone else—including Ana’s mom—finds out. This was a pleasant surprise, and I found myself enjoying it way more than I thought I would. The book moves at a break-neck pace and is a wild ride from start to finish. The best part for me was the convention itself. Katcher captures the nerdy enthusiasm of a con without being condescending, which I super appreciated. I also loved Ana’s reaction to it all, because while she’s confused and taken aback by the sheer strangeness (and angry Vikings), she’s not rude or judgmental, and manages to loosen up and have fun. Both Ana and Zak are actually way more real and nuanced than their initial descriptions would imply. Zak manages to be goofy and utterly charming at the same time (even when he puts his foot in his mouth, which is often), and while his parental issues are a little less panic attack inducing than Ana’s, they’re still very real and present. Ana’s looming anxiety is palpable the longer the search for Clayton goes, but she adapts in hilarious ways to the brand new atmosphere of the sci-fi convention. Zak and Ana’s romance is adorable. The reader can see it all coming from a mile away, but they’re both so endearing that it’s still satisfying to watch unfold. Overall, I give it a B. Read it and tell me what you think! 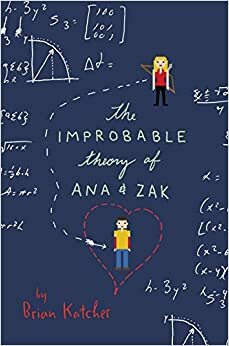 Want to place a hold on The Improbably Theory of Ana and Zak? Check it out on the CMRLS catalog! 1. Burn It Down – an upbeat, attack of a song that will have you pumping your fists and headbanging. This song will shake you up. 2. Windows – My absolute favorite off of AWOLNATION’S new album Run. It’s intense and I CANNOT wait to see it live. I love bouncing around to this song. 3. Run – The perfect introduction to the album of the same name, Run feels like a dream that you don’t really want to wake up from. It builds and builds until finally reaching a wall that you crash into as you start the rest of the album. I love it. 4. BONUS: I suppose you can’t really do a post introducing people to AWOLNATION without mentioning their most well-known single, Sail. I love this song just like the others, so I had to mention it. 5. Yeah, I’m not good at this. Other favorites include: Jump On My Shoulders, ThisKidsNotAlright, Hollow Moon, Kookseverywhere!! !, Jailbreak, and Guilty Filthy Soul. If any of these songs sound like something you might be interested in, head over to Freegal and download them! All you have to do is log in with your library card number and pin (if you don’t know this, check with your local librarian!) and search for AWOLNATION. Enjoy! In honor of my first Throwback Thursday post, I'm going to flail about my favorite book (possibly of all time): The Outsiders. Ponyboy Curtis is a sensitive, daydreaming Greaser--a poor kid living in 1960s Oklahoma. He lives with his brothers Darryl and Sodapop and their found-family-slash-gang of miscreant friends: Two-Bit (the funny one), Steve (the mean one), Dallas (the bitter anti-hero) and Johnny, Ponyboy's best friend. Their rivals are the Socs, or the rich elite. Though the Socs are often content with jumping lone Greaser boys for fun, what happens when things go too far, and Ponyboy and Johnny are caught in the middle? I tried to start this review six different times and always came up short, because I truly don't know how to describe it. If you've been reading for a while you know that sometimes, it's really hard to go back to your favorites. They don't read the same, and they don't feel the same. You outgrow them. I will never outgrow The Outsiders. The language in the book is weirdly beautiful. It's written in first person, and manages to utilize Ponyboy's folksy language and slang (the explanation of the difference between "tough" and "tuff" is delightful) in order to convey complex ideas about society and the people in it. The author (a 16 year old girl, by the way) strikes the perfect balance between people and plot. None of it feels far-fetched or arbitrary, and the reactions of the characters feel natural and understandable. The characters are truly the driving force of the entire story. They're all so wonderfully dynamic. Johnny is precious and terrified and the embodiment of a kicked puppy. I want to hug him eternally. Two-Bit gives great comic relief while still being multifaceted and just as tragic as the rest of them. Steve manages to mean-mug the reader without even having much dialogue, and still somehow owns my soul by the end. I love the three Curtis brothers with all my heart, and if you're a teenage girl and insist you're not a little bit in love with Dallas Winston, you are probably lying. I even found myself intrigued by the Socs and their respective troubles--because, as Cherry Valance says, "Things are rough all over." That said, this is one of the few books where the main character is my favorite. Ponyboy is such a great character, you guys. He loves poetry and rock and roll and doesn’t see the point in violence that’s not in defense. He's a marshmallow, but he's not weak. He's incredibly thoughtful and tries to see things from everyone's point of view, but he also has no problem putting his fists up to defend himself and his family. "Ponyboy, listen, don't get tough. You're not like the rest of us and don't try to be..."
"What in the world are you doing?" Two-Bit's voice broke into my thoughts. I looked up at him. "Picking up the glass." He stared at me for a second, then grinned. "You little sonofagun," he said in a relieved voice. I didn't know what he was talking about, so I just went on picking up the glass from the bottle end and put it in the trash can. I didn't want anyone to get a flat tire. Basically, I love him. I love everyone in this soda-drinking, Elvis-worshipping diner and I have for fifteen years. 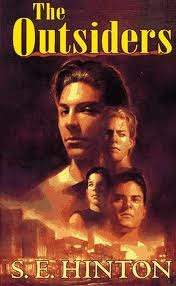 Want to check out The Outsiders and fall in love with Ponyboy too? Find The Outsiders in the CMRLS system! Hello from your new bloggers! Hi! Welcome to the newly designed CMRLS Teen Scene Blog! Most of the new posts on this blog will come from Stefani (Youth Services Specialist at the Pearl Public Library in Pearl, MS) and Kayla (Youth Services Specialist at the Brandon Public Library in Brandon, MS). We are really excited to start posting book reviews, music recommendations, program recaps and pictures, and so much more! Not only will you be getting posts from us, but you’ll also be getting posts from some of our teen patrons. If YOU are one of our teen patrons and are interested in writing for us (about absolutely anything – as long as it is appropriate) feel free to email us at teen@cmrls.lib.ms.us. You can also email us with any questions, concerns, suggestions, or general YA chatter. If you would like to get in contact with either Stefani or Kayla specifically, please put our name in the subject line of the email. We look forward to hearing from you!